Whenever you defined a the function within another function, the inner function has access to variables in the outer function. 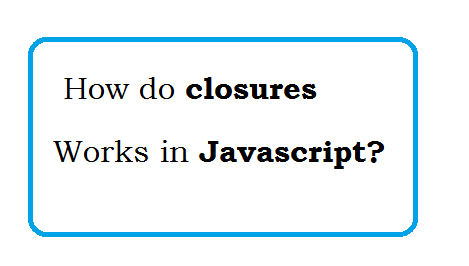 Following are Simple example of closure. Question: Why it can access to variables in the outer function? Because It is defined as var , which means it is global variable.